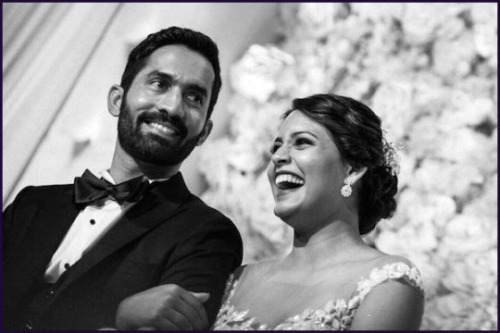 Once in a while, right in the middle of an ordinary life, love gives us a fairy tale, and that holds absolutely true for the stunning sporty couple Dinesh Karthik and (now his wife) Dipika Pallikal. 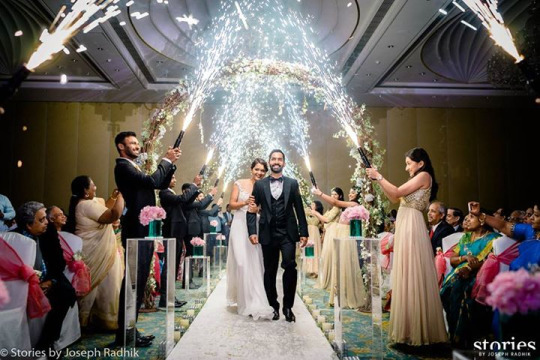 The couple, who kept their courtship a low-profile, decided to have a larger than life wedding celebration. 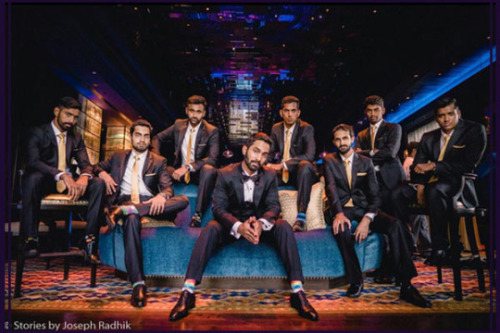 And, what an celebration it was with a super-studded bachelor party, a colourful mehendi and sangeet ceremony, two cultural weddings followed by a lavish wedding reception. 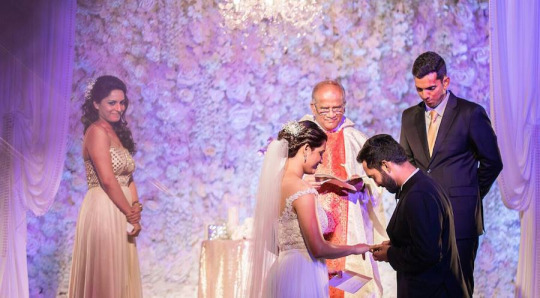 An otherwise shy couple did not leave any stone unturned to make sure the world saw their romance turning into a holy union. 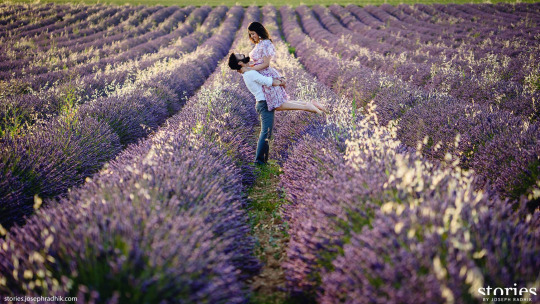 For our ardent readers, who believe in true love, here is the most amazing love story that would leave you awestruck! She hated him only to fall in love with him! 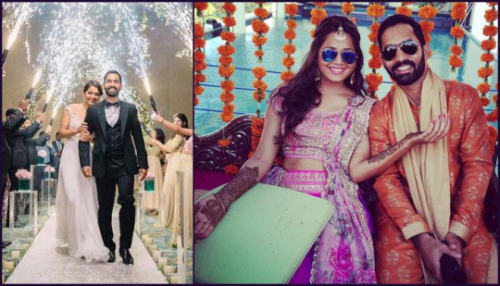 India’s squash queen Dipika Pallikal, hated cricketers as she believed that the kind of hype and fame that they get dwarfs other sportspersons. 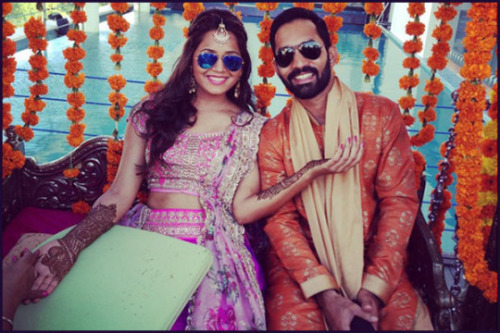 Both Dipika and Dinesh were taking fitness sessions under the same coach, Basu, and it was there when she formally met the Indian wicket-keeper and batsman, Dinesh Karthik. 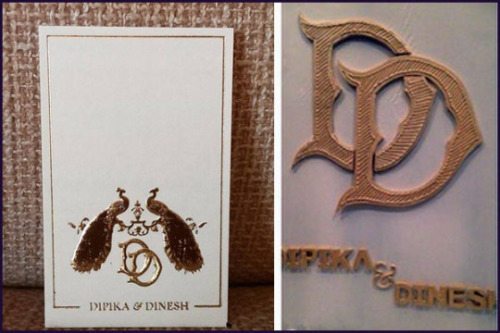 Dipika found Dinesh to be a humble gentleman and a family guy. 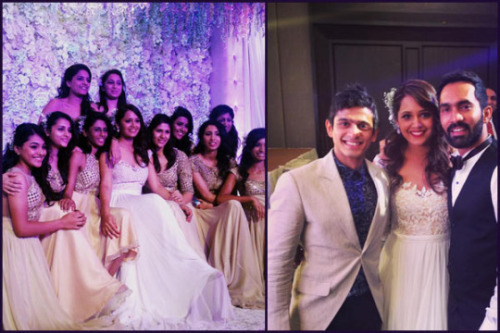 During an interview to a sports magazine, Dipika shared: It was February, 2013, and I had just won a tournament in Canada while Dinesh was playing domestic cricket in India. I went to Leeds (England) to train for a week and I found him there, coming all the way to see me. That was when I fell for him, realising not many would do something like that. He used to watch me train at the academy and even tried his hand at squash. He played much better than I thought. 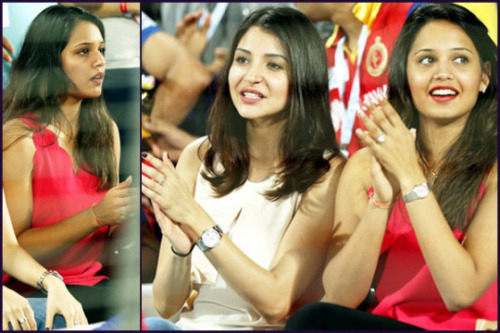 Dipika was often spotted attending IPL matches in which Dinesh Karthik was playing. 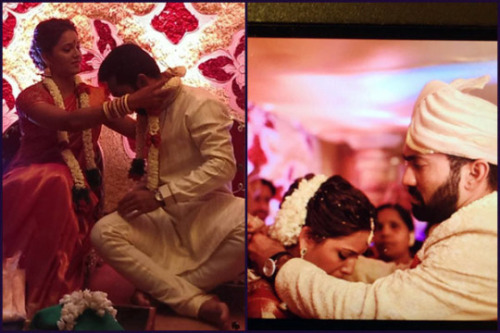 Though the couple never publicly admitted their relationship, but there appearances together said a different tale. 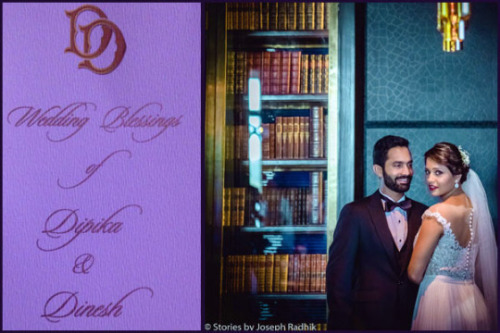 It was on November 15, 2013, Dinesh and Dipika made their relationship official with an engagement ceremony in Chennai, amid close family members and friends. 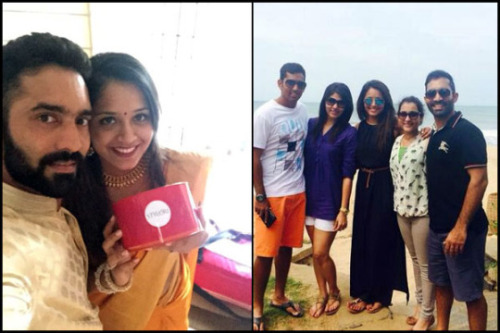 After this, both Dipika and Dinesh gave out numerous interviews confirming their relationship. It always helps when you understand each other’s needs as a sportsperson but we generally don’t talk at length about our sports. Both of us are close to our families and like spending time with them. 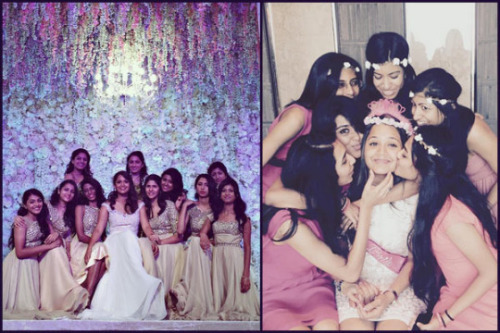 We are not really party people and like to hang around with close friends. 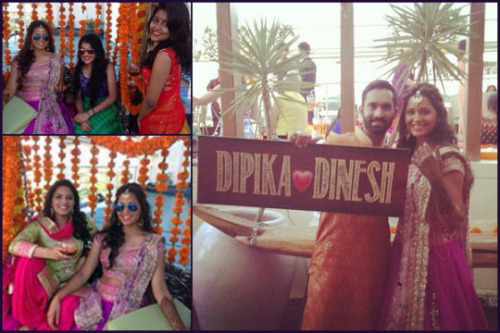 Dipika and her bridesmaids were all too excited for the pre-wedding functions including mehendi and sangeet, which could be quite visible through these photos. 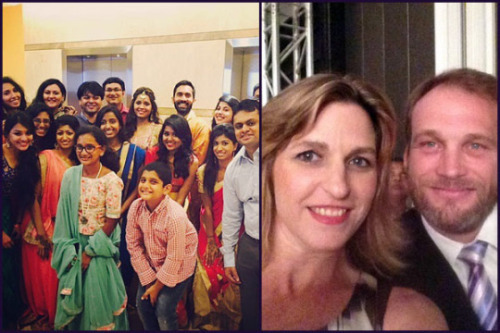 Apart from Dipika and Dineh’s family and friends, former’s Australian Coach, Sarah Fitz-Gerald, too was an intergral part of the wedding which she attended with her husband. 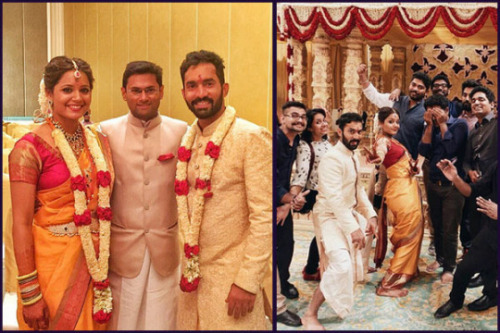 Even the groom did not miss the opportunity to celebrate his last ‘being single’ days, so he held the most super fun bachelors party for his men. 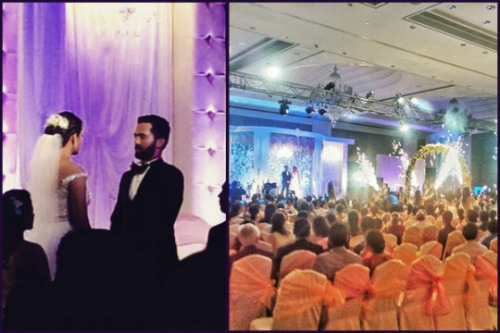 The Christian wedding was a grand ceremony held in a church in Chennai. 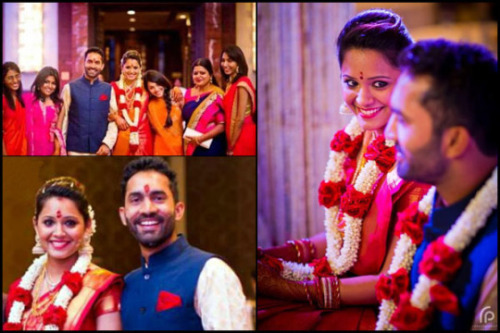 After a long wait for almost two years, the couple took wedding vows in Chennai on August 18, 2015, in a grand Christian wedding. 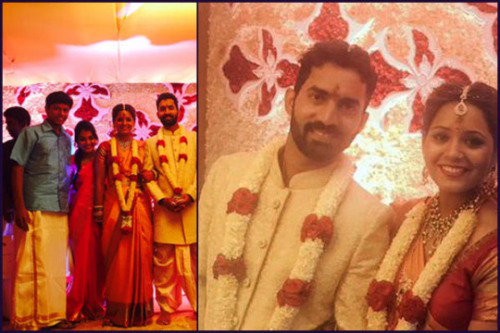 Two days later, on the morning of August 20, 2015, Dinesh and Dipika were joined in holy matrimony as per Hindu Telugu traditions.